The WSD HANDA Center for Human Rights and International Justice at Stanford University, in partnership with the East-West Center, has written and published “Another Trial: A Review of Case 002/02: The Second Trial of Nuon Chea and Khieu Samphan at the Extraordinary Chambers in the Courts of Cambodia”, a final summary report with legal analysis of the second trial of Nuon Chea and Khieu Samphan before the ECCC. This report — written by the Handa Center’s trial monitors Caitlin McCaffrie and Daniel Mattes — builds on the work of many individuals who consistently monitored and reported on each day of trial proceedings and events since Case 002/02’s commencement on 17 October 2014. On 16 November 2018, the Trial Chamber of the Extraordinary Chambers in the Courts of Cambodia (ECCC), also known as the Khmer Rouge Tribunal (KRT), will issue a summary of its judgment in Case 002/02, the second trial against Nuon Chea and Khieu Samphan, the two surviving senior leaders of the Democratic Kampuchea (DK) regime which ruled Cambodia from 17 April 1975 to 7 January 1979. This may well be the final judgment to ever again emanate from the ECCC’s Trial Chamber. 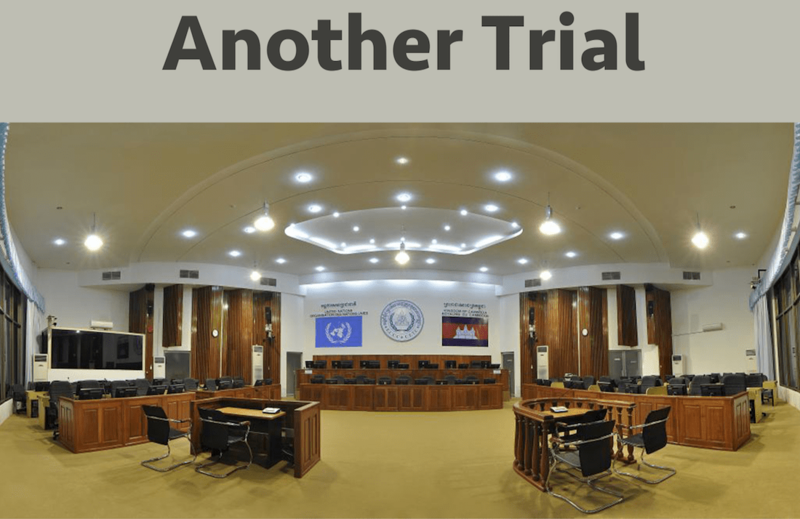 After more than ten years of monitoring daily trial proceedings at the ECCC, KRT Trial Monitor is issuing this final report on Case 002/02 in order to summarize the substance of the trial and to connect the bigger picture to the details that emerged over 274 days of proceedings. This report is based on the notes, summaries, and data gathered by the monitoring team which was present at every day of hearings throughout Case 002/02. This report is separated into two major sections: the first summarizes the testimony and evidence presented in the courtroom over the almost exactly two years of evidentiary hearings; the second raises six legal or procedural issues which the authors and monitoring team determined to be most prescient. This report does not seek to make prescriptive suggestions to the Tribunal or any other institution. The authors hope it can serve as a tool for those interested in returning to Case 002/02 for its details: the stories from witnesses who may never have shared them publicly before, the tests to international legal standards, and the facts written into a history that has remained uncertain and unknown for too long. For the full 45-page English-language report, see here.